UNITED STATES: With the help of its newly-acquired offshore business, the manufacturer is looking to double its share in the European market, said GE's onshore wind CEO Anne McEntee. McEntee, who was speaking at press conference at AWEA Windpower 2016, also announced that the company will no longer sell Alstom's onshore turbines. She confirmed that it will continue to service them as legacy turbines. GE acquired Alstom's power business, including the onshore and offshore wind divisions, in November 2015. The US-based CEO declined to give the firm's current share in the European market. GE Renewable Energy CEO Jerome Pecresse was asked about GE's interest in Adwen, the Gamesa-Areva offshore joint venture, an idea he had floated in early May. "We are not engaged in deep discussions with anybody," he said. 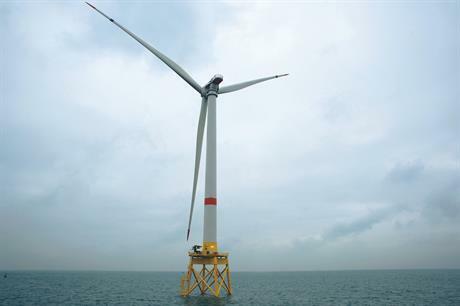 The manufacturer will deliver offshore turbines to three projects in 2016: 30MW Block Island in the US, an EDF project off France, and for part of the first phase of the 296MW Merkur site off Germany, Pecresse told reporters.